I passionately believe in the importance of conversations to ensure great service user experience and as a tool to prevent or manage ill health, and I know many other health professionals feel the same. In January I blogged about some research we’d carried out with front line NHS colleagues who told us that preventing ill health was important, but that they often lack the confidence to have more holistic conversations about a patient’s wellbeing. I’m a big advocate of techniques like motivational interviewing and health coaching, so to mark ‘What matters to you day’ I was delighted to speak to Dr Penny Newman, an NHS England NHS Innovation Accelerator (NIA) Fellow, former medical and public health director and GP, and the driving force behind work to increase health coaching skills across the system. For anyone who doesn’t know, what does it mean to be a “health coach”? PN: It’s about having better conversations. As clinicians we know that we’re dealing with an ageing population and seeing more and more people with multiple health conditions so we have to ask ourselves if our traditional ways of working – which aim to diagnose and fix - are still fit for purpose. We all know we have to focus more upstream on prevention and enable people to manage their conditions better, but when I think back to my time as a GP, I now understand that my just telling people what to do didn’t work. People are more complex - if we could easily make changes to be healthier we would. We all find it hard to change. Health coaching is giving people the knowledge skills and confidence to take a more active role in their health. Training clinicians in health coaching builds on their clinical skills, is based on behaviour change science and helps them have more enabling, person centred conversations with patients. 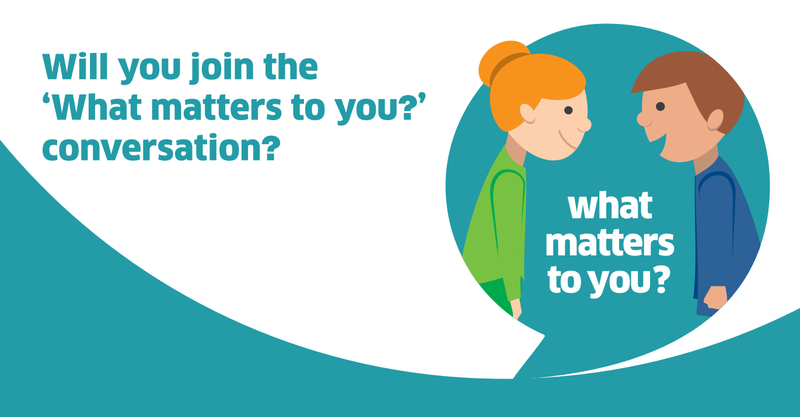 Better conversations can inspire people to become more motivated and confident in managing their own health and care and make healthy lifestyle choices and more informed decisions in order to achieve the things that are important to them. We absolutely have to take these opportunities when we talk with people to ensure our health and care system is sustainable for the future and can meet the increasing demands. What impact can health coaching have? PN: Working in partnership with the NHS Innovation Accelerator Programme, TPC Health and the NHS Leadership Academy we recently hosted an event which brought together health coaches and trainers we have trained from across the country to share their experiences and challenges. We heard some really inspiring stories about how clinicians and non-clinicians alike from across all sectors have improved their own practice, how they have championed better conversations right across their organisation or system and how new services have developed. Their work is leading to improved patient and clinician satisfaction. Just as importantly, clinicians using these skills are delivering real measurable outcomes in terms of improving health, increasing patient activation and reducing demand for NHS services such as hospital beds because people are managing their health themselves. I talk to clinicians from all professions a lot and from their perspective they say that health coaching fits with their values, fits their role and helps make their work easier. Many have come to a simple but powerful conclusion that good listening and asking great questions to raise awareness and responsibility can change a person’s life. When we talk to front line health professionals they understand that helping people to prevent or manage ill health is important but the time we get to spend with people is short. Do you think this is a barrier to health coaching? PN: One of the most positive things that health coaches feedback is that these better conversations help them to manage and in fact reduce their caseload. It saves them time as well as increasing their job satisfaction. As health and care professionals we don’t have all the answers, and if we think we do we might simply medicalise every problem and over-diagnose. By talking to people we care for in a way that acknowledges their expertise and puts them in the driving seat, they will manage their own health better and reduce their need for NHS services. Of course people want to be told what to do if it’s something straightforward or life threatening, but most care is somewhere in between. This requires a partnership approach between clinician and patient to negotiate what’s best for them personally and how a plan can be created together. Once people are trained as health coaches they realise that a health coaching mindset can be applied whenever opportunities arise, in five minutes or with the luxury of more time, for example, whilst doing a dressing or carrying out physiotherapy. We also find that whilst individual health professionals becoming health coaches is useful, if organisations can implement this across a whole clinical team, it really maximises the positive impact as people are having these better conversations in every single consultation. Other initiatives like using the patient activation measure and social prescribing for example work really well with health coaching skills as they augment each other. Do you think it takes confidence for a health professional to start having more meaningful conversations? PN: As clinicians we can definitely gain from learning new skills in changing behaviour, and training as a health coach helps builds these skills as well as confidence. Patients really welcome these conversations because most people want to be in control of their health, and they want to be acknowledged, listened to and heard. The evidence is that if patients are informed and empowered they will adhere to treatment regimes and make healthier choices for themselves because it fits with their life and their priorities rather than because they are “told” to take a certain action. And if you talk to health coaches you will regularly hear them mention rewarding moments where a patient has said “this is the first time I’ve really felt in control of my health”. If people are interested in health coaching where can they find out more? PN: A range of resources are available for free on our Better Conversation website, including evidence and patient stories. You can find out how health coaching is being applied in a range of different organisations as well as information about how to access training in health coaching. For information, tips and evidence about embedding prevention into your professional practice visit our All Our Health framework on GOV.UK or read our blogs ‘Making the most of our conversations’ and ‘your lifestyle referrals can create a force for change’.